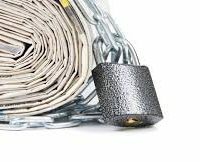 QUETTA: The Council of Pakistan Newspaper Editors has declared the situation regarding press freedom in Balochistan as extremely bad and contrary to democratic standards. According to a press release issued by the CPNE here on Tuesday, the overall situation regarding press freedom in the province was reviewed at a meeting of CPNE’s standing committee in Quetta presided over by CPNE president Zia Shahid. The meeting passed a resolution declaring the freedom of press situation in the province as extremely poor and unsatisfactory. According to the resolution, the intolerant behaviour of certain forces and groups against the media in the province has become a norm. It said newspapers were facing severe pressure and hardships, and hindrances were also being created in the distribution of newspapers, while media workers and newspaper sellers were facing life threats. “Resultantly, journalists, media workers and newspaper vendors find themselves in an untenable situation due to the multidimensional sources of pressure around them,” it said. Expressing solidarity with journalists and media workers of Balochistan, the CPNE assured them of its full backing and support and demanded that all state and government institutions and other bodies ensure that the freedom of press and expression and right to information are respected according to the Constitution of Pakistan. The CPNE demanded steps that can truly strengthen press freedom in line with basic human rights. According to the CPNE, a free and responsible media’s presence is necessary for the stability of democratic standards in a democratic society while press freedom itself is a vital part of a democratic society and reflection of social diversity. Meanwhile, the CPNE delegations called on Balochistan Chief Minister Sanaullah Zehri, Governor Mohammad Khan Achakzai, Balochistan Assembly Speaker Raheela Hameed Durrani, senior politician Mir Hasil Khan Bizenjo and former chief minister Dr Abdul Malik Baloch and apprised them of the difficulties and threats being faced by the media in Balochistan. The meeting was attended by CPNE Senior Vice President Shaheen Qureshi, Secretary General Aijazul Haq, vice presidents Amir Mehmood, Rehmat Ali Razi, Anwar Sajidi and Tahir Farooq, senior members Ikram Sehgal, Ghulam Nabi Chandio, Dr Jabbar Khattak, Siddique Baloch, Hamid Hussain Abidi, Kazmi Khan, Amin Yousuf, Irfan Athar, Javed Mehar Shamsi, Munir Jilani, Abdul Khaliq Ali, Usman Shami, Kamran Mumtaz, Abdul Rehman Mungrio, Muzaffar Ejaz, Mohsin Goraya, Khalilur Rehman, Aslam Khan, Mumtaz Ahmed Sadiq, Younis Mehar, Bashir Ahmed Memon, Ali Ahmed Dhalon, Arif Baloch, Ahmed Iqbal Baloch, Naeem Sadiq, Syed Khalilur Rehman, Tazeen Akhtar, Javed Ahmed, Muneer Baloch, Ali Raza Lehri, Yahya Khan Sadozai, Anwar Nasir and Zahida Abbasi. Quetta Press Club president Raza Rehman, local newspaper editors, senior journalists and other media workers were present on the occasion.